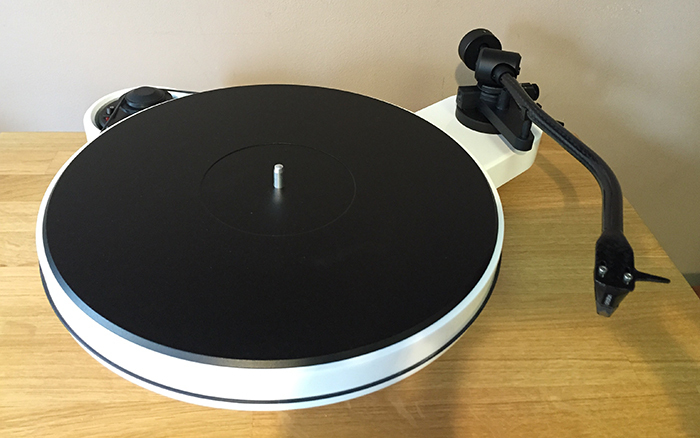 We are pleased to announce the arrival on the NEW Pro-Ject RMP 3 Carbon here at the Swindon store. The NEW RPM 3 Carbon turntable follows on from where the hugely successful Genie 3 left off and has a number of improvements from its little brother, the RPM 1. The RPM 3 Carbon design has been upgraded to significantly reduce resonance across the turntable. While maintaining the instantly recognisable shape of the old Genie. The NEW RPM 3 boasts improvements to the motor, bearing and tonearm. The new carbon fibre/aluminium resin tonearm has a NEW magnetic anti-skate mechanism doing away with the need for the little bobble weight & thread as seen on other Pro-Ject turntables. The arm is finished off with a pre-fitted Ortofon 2M Silver cartridge. The RPM 3 also has a new vinyl topped sandwich platter that creates the perfect surface for your vinyl to play on with no need for a mat. These improvements help to make this turntable a highly detailed and exciting listen. “what really marks it out from the crowd is its sheer ‘completeness’"
The Pro-Ject RPM 3 is available in Red, White or Black high gloss finishes. We are back open on Sundays.